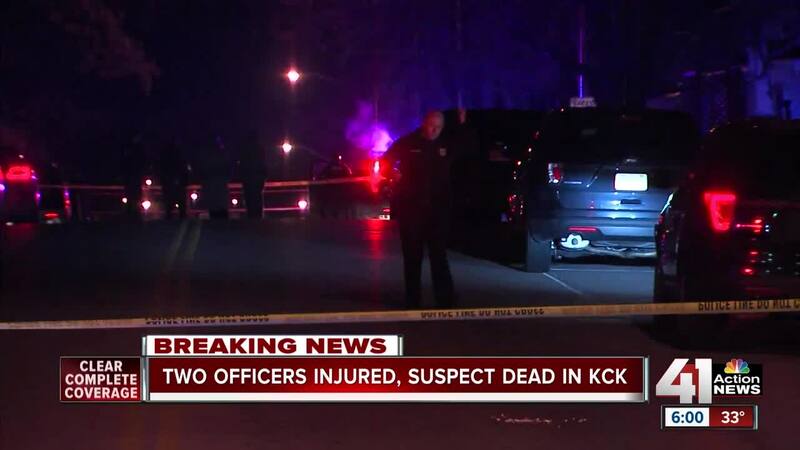 KANSAS CITY, Kan. — One Kansas City, Kansas, officer has been released from the hospital and another awaits surgery after being shot at by a man with one of the officer's own weapons late Sunday night. One of the officers shot and killed the man. The officer-involved shooting happened in the 400 block of N. 18th Street. Police Chief Terry Zeigler first tweeted about the shooting at 11:56 p.m. Officer Tom Tomasic said the incident started as an "indecent exposure" call. "Officers went up to the apartment where the individual lived. Sounds like some type of struggle ensued when they were speaking to him," Tomasic said. "He was able to take one of the officer's guns and actually fired a round, striking the officer. The other officer fired back and killed the suspect." The police department Monday identified the victim as Richard L. Johnson, 46, of Kansas City, Kansas. Tomasic said the officer was shot in the hand. 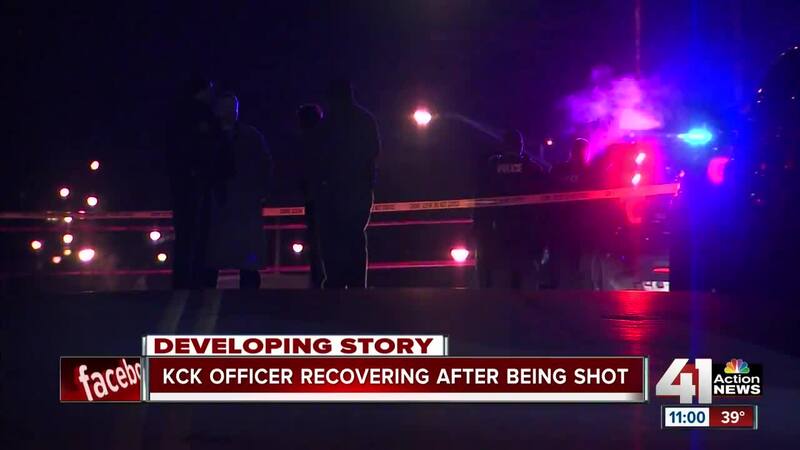 The second officer was injured, but not shot. Chief Zeigler said both officers will make full recoveries. A second police agency assisted KCK police with the investigation into the shooting. The department is asking anyone who has information about the shooting to call the TIPS Hotline at 816-474-8477.